2. 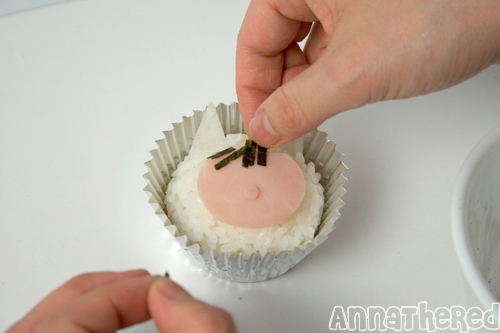 Cut ham with a plastic cap (I used a cap from a can of hair mousse), and put it on the rice. 3. 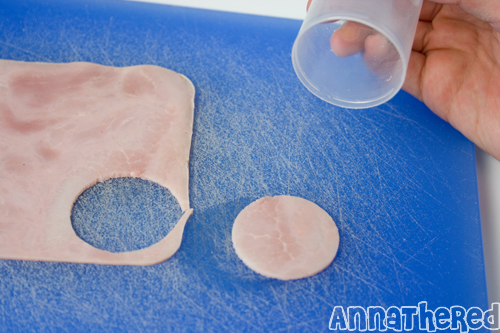 Use a straw to cut ham for his nose. 4. 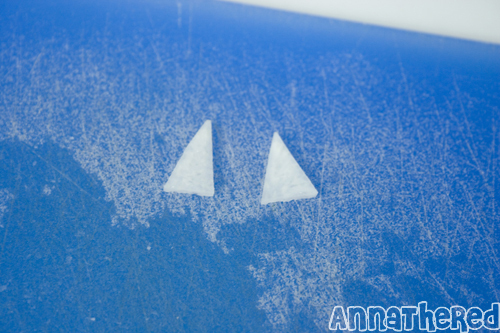 Slice radish (or sliced cheese, or kamaboko, or hard boiled egg white), and cut triangles for his ears. I trimmed the top part of ham, but it's not necessary. 5. 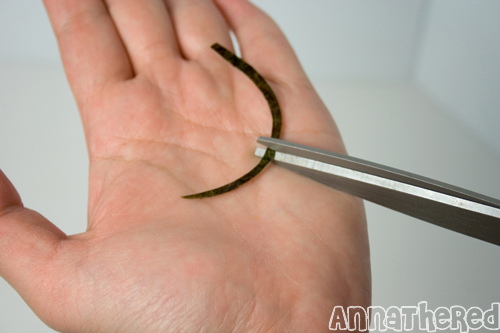 Cut strips of seaweed and for his hair and whiskers. 6-A. 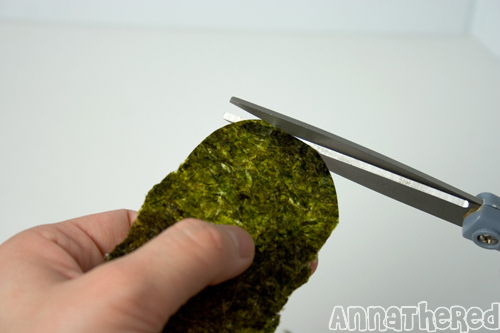 If you have a seaweed cutter for a smiling face like I do, use it to cut out seaweed. 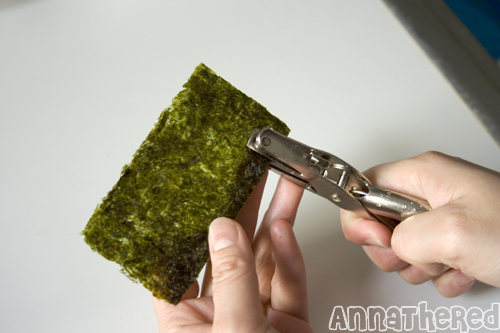 Tips: If you put very thin paper under seaweed, it's easier to cut the seaweed out. 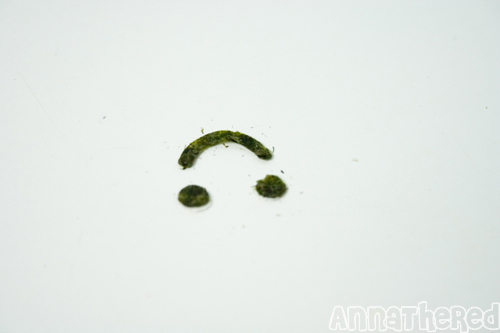 6-B. 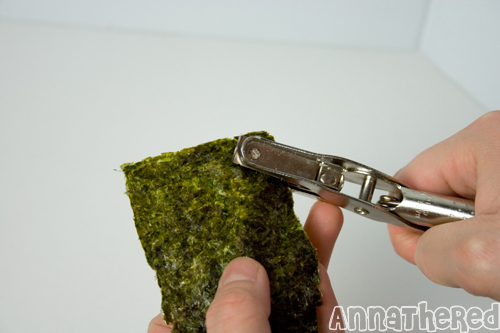 If you donâ€™t have a special seaweed cutter, cut it freehand with scissors, an cut seaweed out with a hole punch, and put it for the eyes. 6-C. 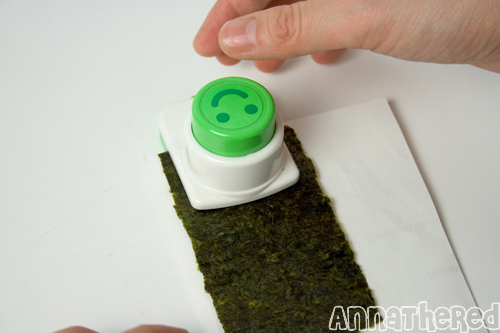 If you want to make smiling Max (like the one in the picture) use a hole punch to make a hole in the seaweed, then slide the punch a little bit and punched it again to make ” C ” shaped seaweed. You can use the top " c " part or just the round part. ...his mother called him "WILD THING!" Amazing!!! This is worthy of some sort of international acclaim, no? Wonderful tutorial! I can’t wait for the movie to be released in AUSTRALIA! 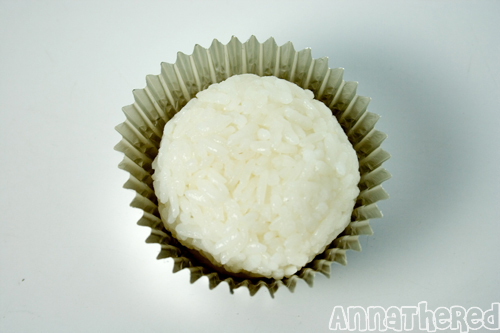 Do you recommend adding sushi vinegar, sugar and salt to the rice ball or do you think it’s too overpowering? 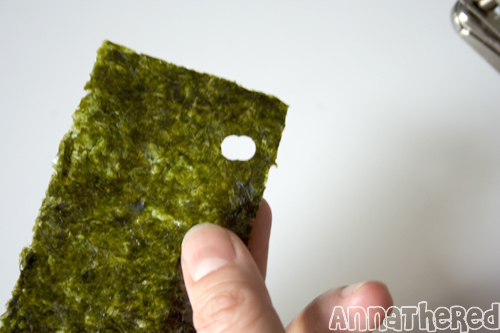 Great tutorials, you make it all seems easy, but from my experience the hardest part is always cutting the nori and put them on the face/body parts. Wow, how long does it take you to make the whole thing from start to finish? I love these! I’m having a birthday/halloween party this saturday and I’m thinking of doing this for the kids. Thanks for such a great tutorial! I love your how-to posts!! 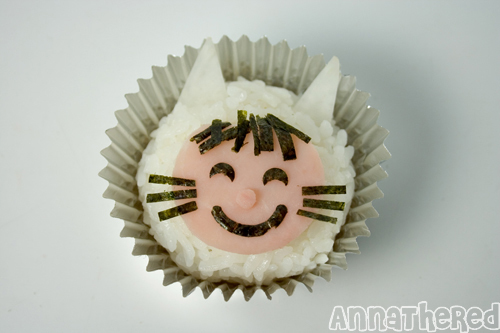 Most bento sites only show the final thing, but these how-to posts are wonderful!! 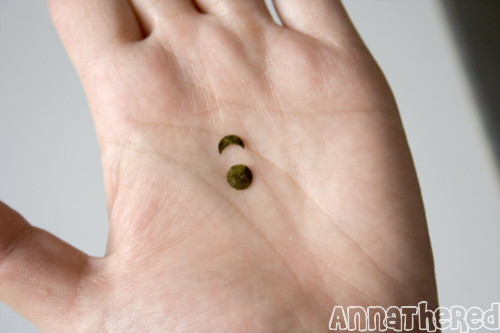 Hi there, do you have any suggestions for a vegetarian version of these(something to replace the meat face?) These look so so fun. Next post: tricked or treated!